9 Steps to Kilim It! Ya’ll I’m seeing some amazing interior design up here because I’m staying in Beacon Hill and I’m loving all the little antique shops and furnishings. 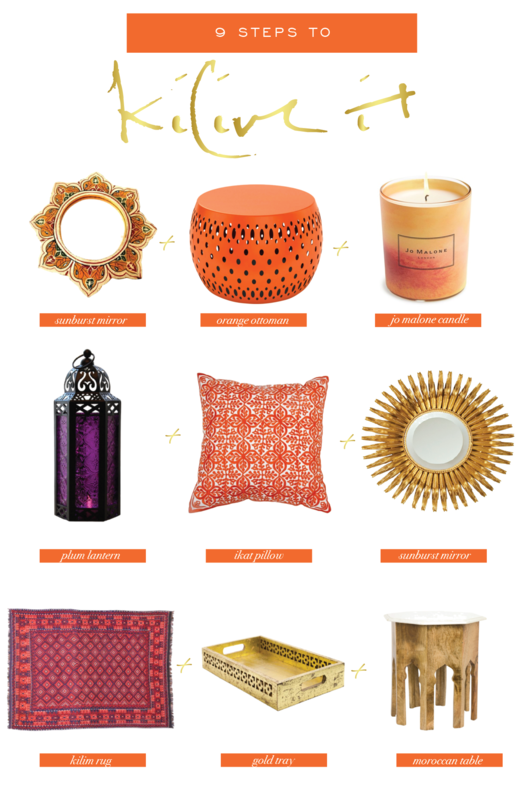 I was feeling Moroccan-inspired today what with all the rich colors and textures I’ve seen, so I put together this little inspiration board with some awesome ideas to bring this look into your home, even if you only pick a few pieces they will add a great global vibe whatever your style!